In addition to our wide selection of food and drink in the generously sized bar and restaurant, The Griffin also offers the following facilities. 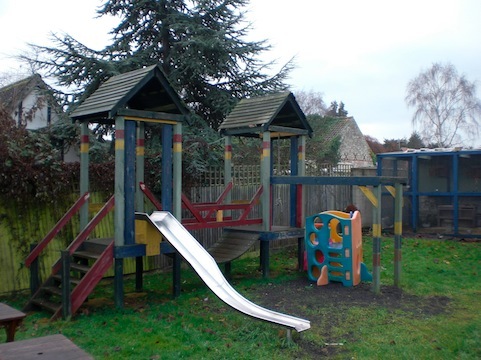 The Griffin as a large garden area to the rear of the premises complete with a small play area for the children, an avery and a selection of picnic tables. In the summer months you will also find a bouncy castle for the children while you tuck in to our regular summer BBQ’s. We have a flat screen TV and a projector showing Football, Rugby, Cricket, F1 and other major sporting events from a host of sporting channels including Sky Sports making us a premier venue for sport in Isleham. We provide a suitable venue for live music and regularly host gigs from local bands and solo artists. We also offer a pool table and darts board. Our current pub darts team plays in the Mildenhall and District Darts League. We have a large car park suitable for up to 15 vehicles at the rear of the premises for pub customers.